Santa may know if your child has been bad or good, but you might not always know. The Naughty or Nice Meter will give “Santa like” naughty or nice knowledge to any parent. 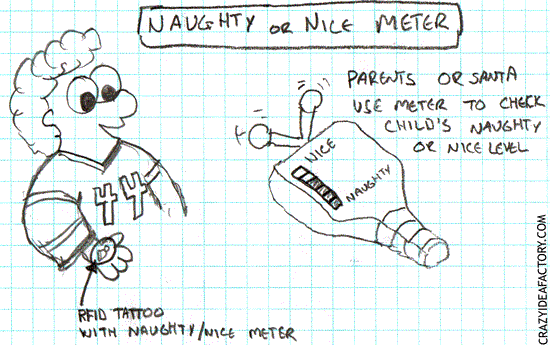 With the Naughty or Nice Meter your child gets to wear a really cool temporary tattoo. 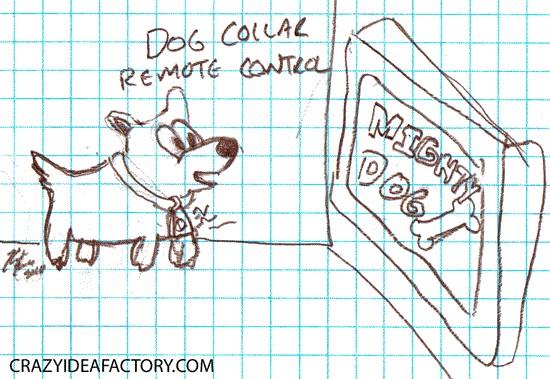 The tattoo is actually a sophisticated behavior sensor with a built in RFID transmitter. 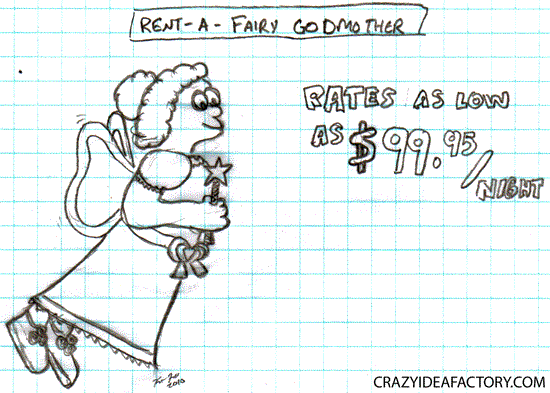 As a parent you have a hand held Naughty or Nice Meter that reads the RFID signal from your child’s tattoo. To find out if your child is behaving when out of your sight, you just check your Naughty or Nice meter. If the level has gone up you will know some suspicious activity has taken place. 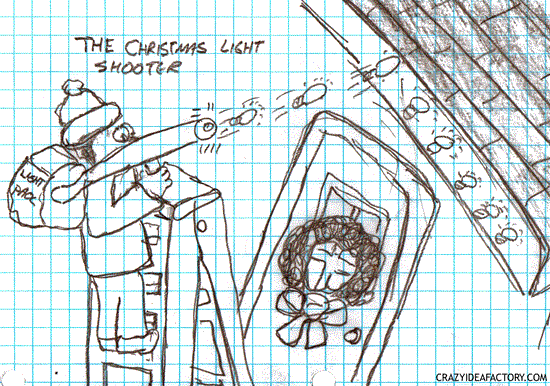 Santa may also want to consider one of these. His system is at least a few hundred years old – it might be time for an upgrade. No longer do you have to be a member of an exclusive government organization in order to be a spy, modern technology has made it possible for anyone to be a spy. 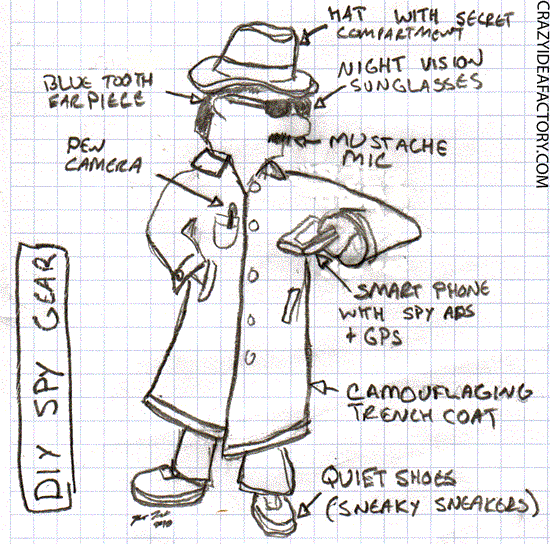 All you need are the right gadget accessories along with a mysterious coat, hat and sunglasses. 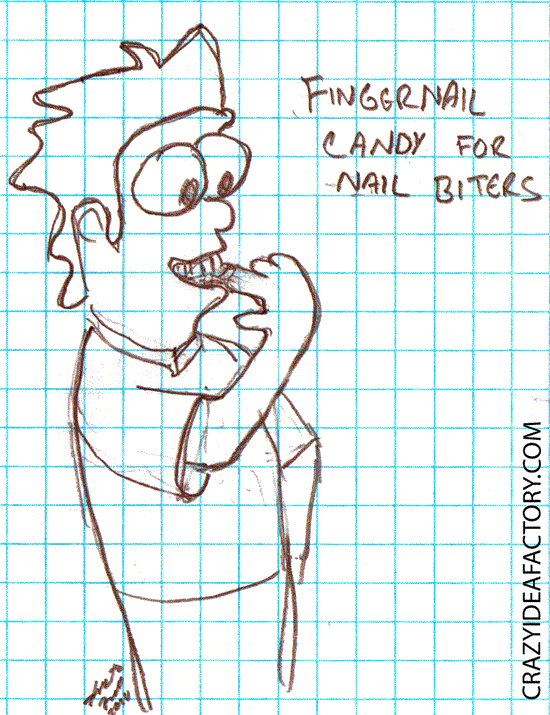 This crazy idea is inspired by the Illustration Friday word of the week, sneaky. 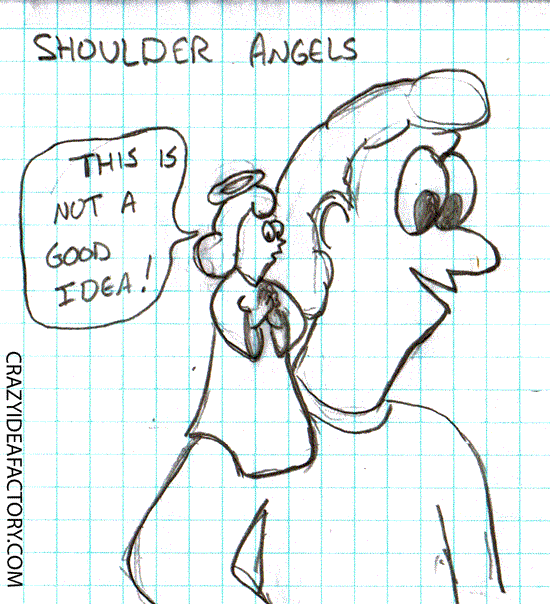 Shoulder angels are the angels that appear on cartoon character’s shoulders in order to offer helpful advice and stop the character from making a poor decision. The problem is that shoulder angels only exist in cartoons. Shoulder angels should exist in the real world. Think of all the problems you would avoid if you had a shoulder angel attached to your shoulder that would tell you when you were about to make a bad decision. I would be like taking your mother with you everywhere you went, except the shoulder angle would have an off button. 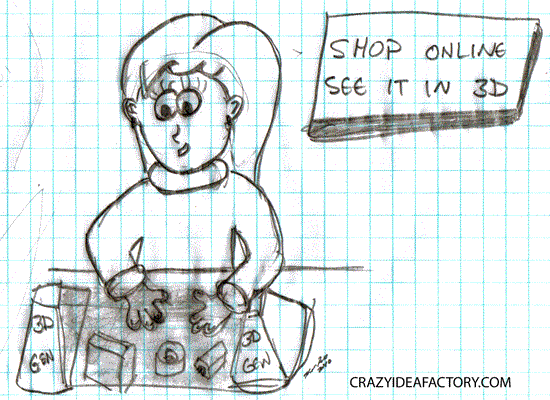 The hard part about buying items online is that you cannot see them in three dimensions. The biggest craze in the television market today is “3D televisions“. The 3D TV concept should be taken one step further to offer online shoppers a more tactile online shopping experience. Except they have to get rid of the annoying glasses first. Do you ever get into arguments about what really happened? Do you forget what you did this morning? Would you like to have every moment of your life recorded for use in the documentary you’re sure they will make about you someday? 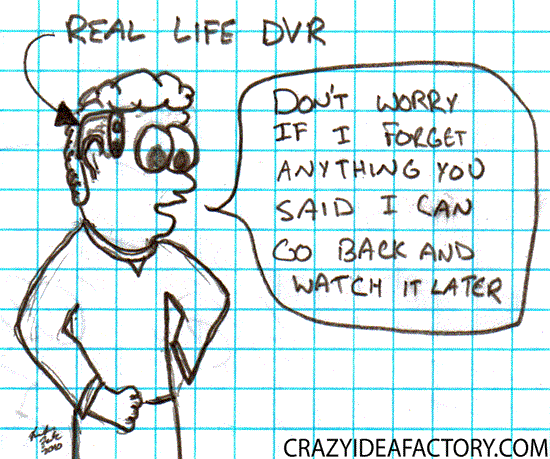 If so, you need a personal “Real Life” DVR so that you can record everything that happens to you. If you don’t want to record everything, it would still come in handy for taking notes in class and for documentation of your side of an argument. 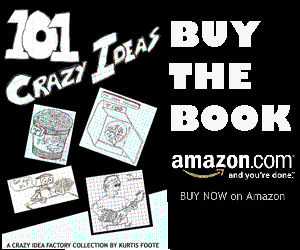 This crazy idea is inspired by the Illustration Friday word of the week, afterwards.